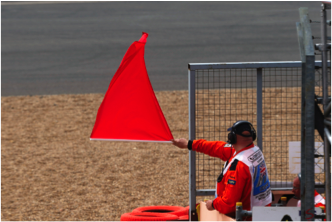 42.1 Should it become necessary to suspend the race because the circuit is blocked by an accident or because weather or other conditions make it dangerous to continue, the clerk of the course will order red flags to be shown at all marshal posts and the abort lights to be shown at the Line. 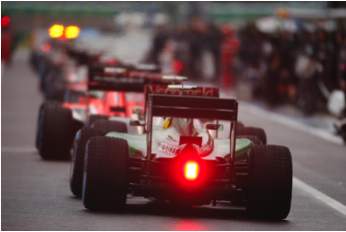 42.2 When the signal is given overtaking is forbidden, the pit exit will be closed and all cars must proceed slowly into the pit lane. The first car to arrive in the pit lane should proceed directly to the pit exit staying in the fast lane, all the other cars should form up in a line behind the first car. Suspending a race is thankfully a rare situation in Formula One, but should Charlie Whiting, the FIA race director, deem it necessary for any reason, there’s a slightly different procedure for 2015. 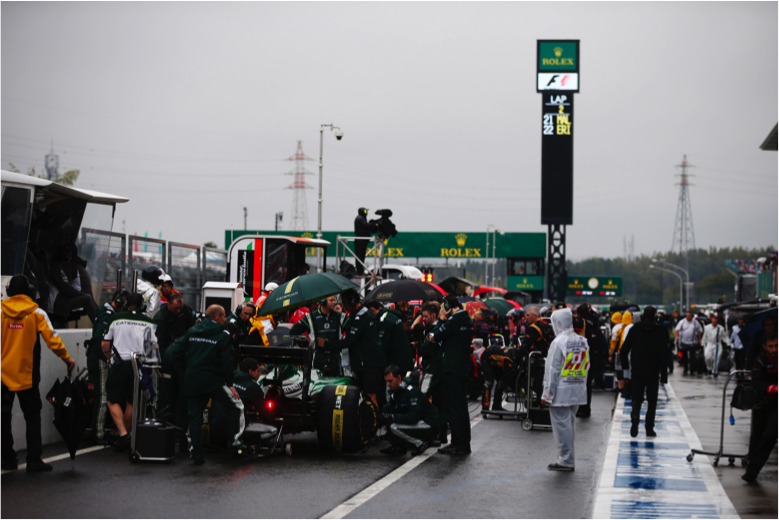 Instead of all cars forming back up on the starting grid, as was previously the case, this year the drivers would head straight back to the pitlane, forming a queue, until being led back out behind the safety car when the circuit or conditions are safe to do so. The change makes the whole process easier for the teams as they don’t need to move large amounts of equipment out onto the circuit like they do at the beginning of each Grand Prix and in theory should reduce the time it would take to get the race back under way, minimising disruption for everyone.